RPGs, no matter if they are from western or asian origin, usually have some fighting involved in the storyline. And just as it is with many other games, there are normal fights players have to attend and special fights against special enemies - the so called "bosses". These battles are interesting in many ways. 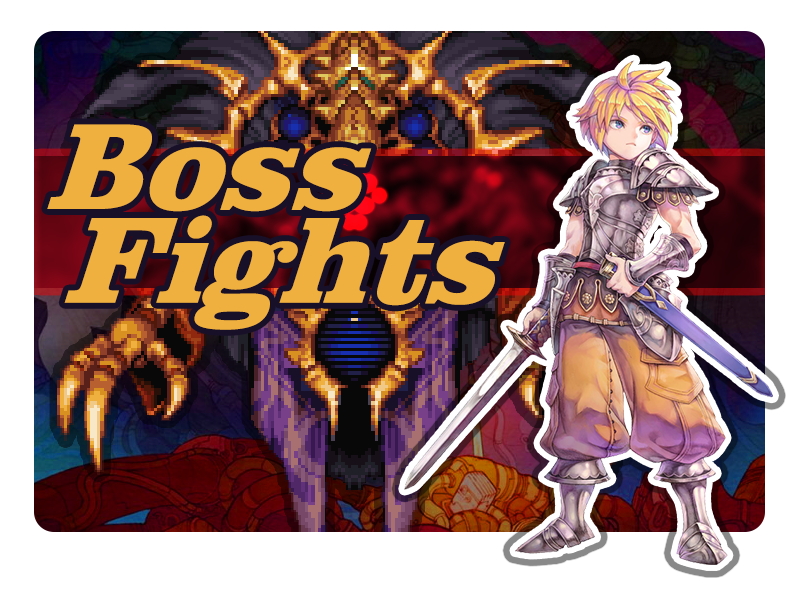 Usually, bosses have some deeper story behind them that makes these especially powerful characters your foes. Especially in japanese RPGS, boss battles are additionally accompanied with great music and sometimes there are even gameplay quirks that make these battles extremely enjoyable (or frustrating). And aside of the regular bosses, in most games there are special bosses that are even more dramatic, difficult or intense than the regular ones. This could be a good friend that betrayed you, an especially powerful being accidentally summoned or someone who does not want to fight you, but needs to. These reports list some of the most interesting boss fights. Just click onto the corresponding game and you will see why rpg-o-mania thinks these are special. This list will expand in the fugure. Final Fantasy VI: Kefka Palazzo Spoiler! Suikoden II: Luca Blight Spoiler! Seiken Densetsu III: Dragon Emperor Spoiler!